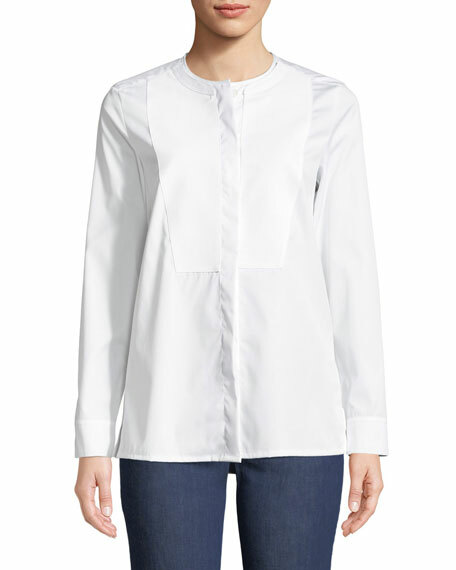 Escada tunic shirt in cotton poplin with pique bib front. Approx. 27"L down center back. 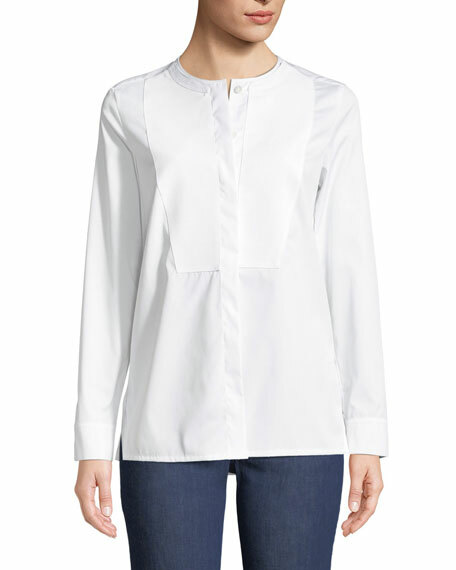 Round, banded neckline; hidden button front. 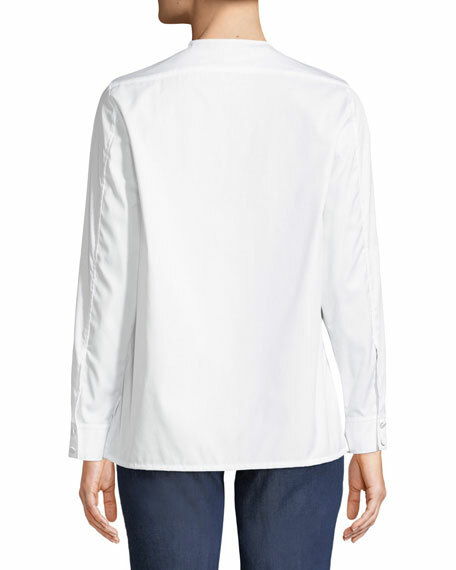 Long sleeves with outside seam; button cuffs. Cotton; mother of pearl buttons. For in-store inquiries, use sku #2344311.